Anyone else ever said that? I’ve said it many times and guess what? It’s the first of May and tomorrow is finally here. So sorry if you really don’t care about what I’m not going to eat for the next 10 weeks, but I’ve found that putting stuff out there on the Web helps keep me accountable. On a different note, Matt and I spent the weekend in Monterey a few weeks back. 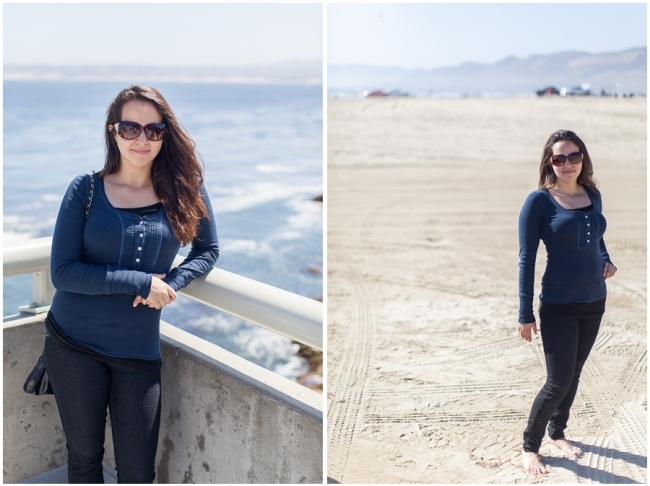 We stopped at the Monterey Bay Aquarium and on our way home, we went to Pismo Beach. I’ll share some more pictures from our trip next week, but here are some self portraits for my “25 while I’m 25 series”. I have quite a few shoots in the works right now and I can’t wait to share them in the coming weeks!